Contemporary wedding etiquette borrows the rules of the past and combines them with the customs of the present. “Have any of your brides done this before?” That’s the question Sea Island Wedding Manager Kellie Ryan hears most often. “And of course, the response they want from me is, ‘no,’ ” she says. Indeed, today’s couples are committed to crafting an event that is uniquely their own. Times are changing in the wedding industry and, thanks to the omniprescence of social media, there’s often an expectation that the most detailed wedding plans—from the choice of dress to the venue—be shared and even vetted by a throng of internet acquaintances. In addition, there are numerous websites that splash images of unique ceremonies, invitations, receptions and more to provide inspiration for brides- and grooms-to-be—and some anxiety over their own choices. Yet to prevent the grand day from devolving into a forgettable flash on Facebook, there needs to be more than a cursory nod to the most venerable of wedding traditions: etiquette. In fact, Ryan counsels brides to keep many of their choices private—after all, it can feel rather anticlimactic if the guests already know what experience awaits them. Sea Island), Huebel often sees the struggle faced by contemporary brides. “They want to be on trend and I see a lot of brides rush to post pictures of their ring, and even deliberations about their venue,” Huebel notes. The result, unfortunately, is that the newly betrothed is subjected to plenty of candid opinions on her choices. “Occasionally I have to remind brides that it doesn’t take a village to plan a wedding,” Huebel says. While Emily Post is arguably the doyenne of all that is polite, both in regard to weddings and beyond, Huebel credits Martha Stewart with abolishing some of the staid traditions associated with ceremonies and receptions. “She turned the wedding industry upside down by showing brides that it’s OK to be creative, and to think outside the box,” Huebel says. With that caveat in mind, both Ryan and Huebel offered an overview of several of the most contentious topics related to contemporary wedding etiquette. Yet couples don’t have to worry about their paper needing to resemble the stodgy, calligraphy-tinged invitations of yesteryear. 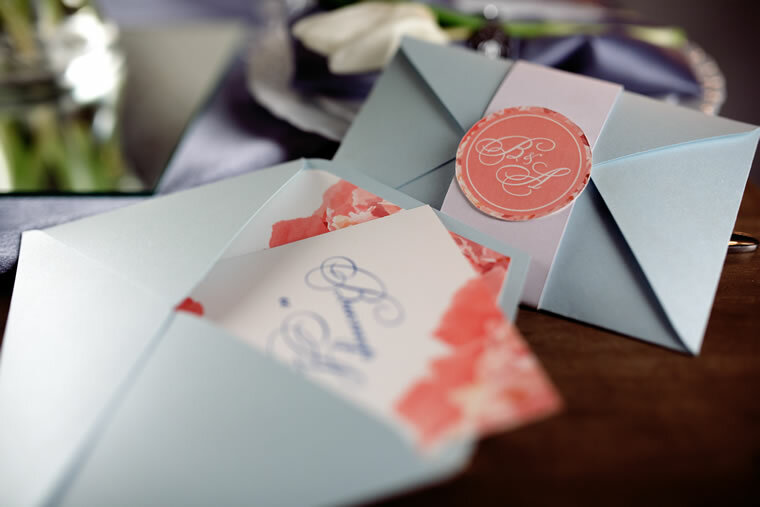 In fact, Ryan encourages them to be creative—even playful—when designing their invitations. Huebel agrees, and also mentions the allure of the ubiquitous email invite. While emails are cost-effective and easy to construct, email invites (evites) have come to epitomize a generational crisis. “In my experience, the whole issue concerning evites can become a real battleground between a bride and her mother. The bride wants to send out her ‘save the date’ notices via evites, and her mother wants a more traditional announcement,” Huebel says. Ultimately it is usually best, etiquette-wise, to restrict evites to more casual affairs, like rehearsal dinners or social get-togethers among the couple’s inner circle. They can be fun, but are always eventually deleted. In contrast, a finely crafted paper invitation is a lasting memento that many family members and guests will treasure. Today’s tech-driven world still lacks an efficient solution that would assist the engaged couple in creating their perfect guest list. Instead, they must calculate how many people they can invite while still staying within budget and the confines of their chosen venue. Subtracting anyone from the pool of invitees is done with trepidation, for fear of causing hurt feelings. Circumstances often have the effect of trimming the guest list. “A lot of brides want a small, intimate ceremony,” Ryan says. “But they want to open up the reception to more guests as a big celebration.” In such a case, it’s perfectly acceptable to hold a private ceremony several hours before the much larger reception. Providing the reasoning is diplomatically explained, this option can prevent that awkward situation where guests are invited to the reception yet feel spurned because their presence wasn’t warranted at the ceremony. While the internet has created some problems when it comes to modern wedding etiquette, it has also become a great resource for weddings of this generation. For example, websites like The Knot offer free templates so brides and grooms can design their own wedding website to compile all of the necessary information for attendees. Selecting a domain name that combines their names or defines their chosen theme adds a personalized touch while still remaining on trend. Gift registries can include requests for experiences. The advent of the online gift registry has helped curtail the duplicate toasters, blenders and crockpots newlyweds receive. If the occasional kitchen appliance doppelganger does make an appearance, proper etiquette dictates that a sincere thank you card is sent well before the item is either exchanged for something more suitable (a great argument for including a receipt) or discreetly donated to a local charity. Yet, what if the soon-to-be-newlyweds have all they need to set up a happy household? Is it OK to solicit cash donations toward a special item, like a honeymoon or home theater? Rather than simply asking for money, Ryan and Huebel encourage couples to utilize certain platforms available on various wedding websites. Akin to GoFundMe accounts, these specialized registries allow couples to tactfully request online monetary contributions toward their dream excursion or purchase. Couples can also include a list of specific activities they would love to enjoy, which serves as an alternative for guests who prefer not to express their sentiments in a generic dollar amount. For wedding guests, the wedding experts also advise making reasonable gift choices. Both Ryan and Huebel are quick to point out that you don’t have to go overboard with a present. When it comes to attending a wedding, there is a whole other set of rules. It’s also important to check whether the ceremony or reception allows children. Invitations may clearly state that the ceremony or reception is adults only. Sea Island happens to have kid-friendly activities and in-house child care available, but Ryan still cautions guests to be fully informed before bringing children to the ceremony and reception. Secondly, turn off your cell phone. It seems like an obvious breach of etiquette, but too many guests remain attached to their phones. Ryan and Huebel suggest that couples post signs declaring an unplugged ceremony. That also deters the compulsion to post Instagram photos of the bride and groom before the ceremony has concluded, another big transgression. 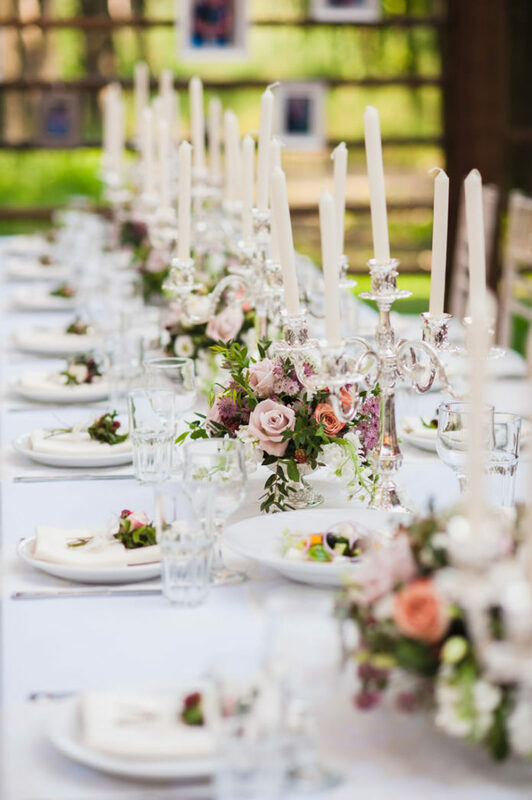 One traditional wedding etiquette tip states that guests who attend a fully plated reception should purchase a gift in an amount that approximates the cost of their meal and experience—while it’s a tad old-school, it will hopefully ensure your spot on guest lists in the future. 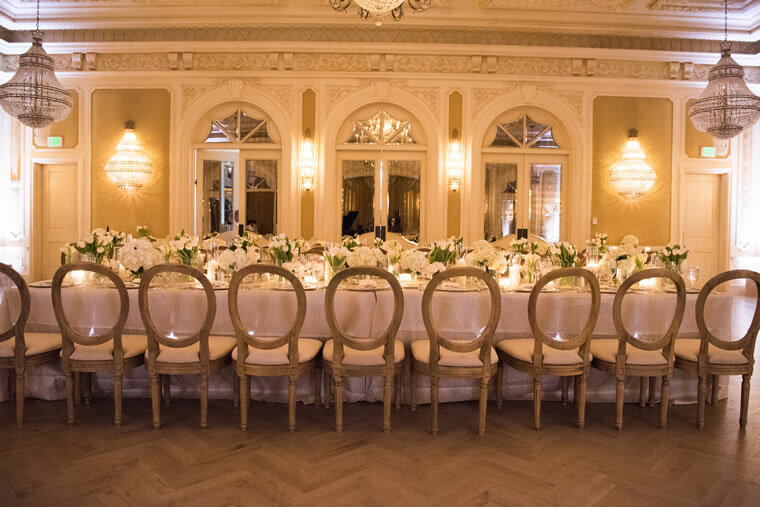 Of course, Sea Island also offers a wide variety of venues, from the charm of The Cloister Chapel and its related garden to the grand expanse of the Mizner Ballroom. Plus, there are multiple outdoor settings, including the natural beauty of the shoreline. Activities, which may be prearranged by the couple, may include fishing, spa visits and horseback riding, among others. 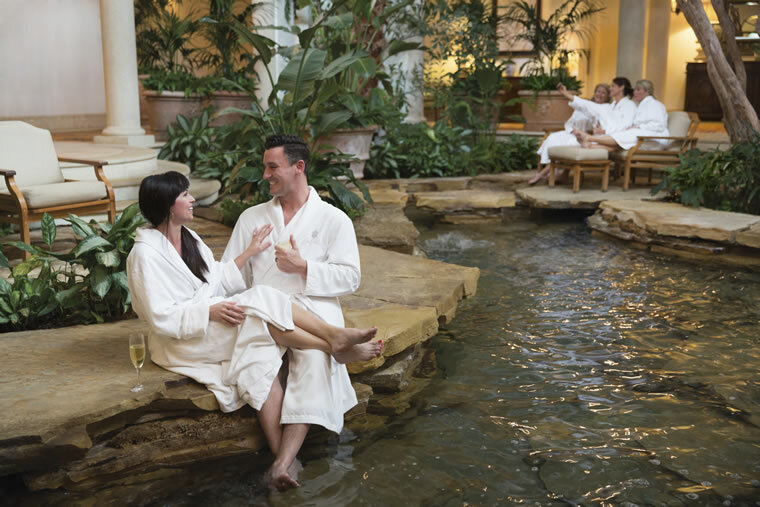 These very same adventures typically hold special meaning to the couple, especially if they grew up spending summers and holidays at Sea Island.